As I approach the conclusion of the Artistic Spirit Pledge, I’ve been thinking a great deal about what I do the day after. I will have spent three-and-a-half months writing every single day, so it will feel quite odd to reach 112 and just stop. However, I don’t want to just continue on with this topic. What will I write about next? I need your help to solidify my direction. Please take a few moments and answer any of the following questions – use the Comments section below. 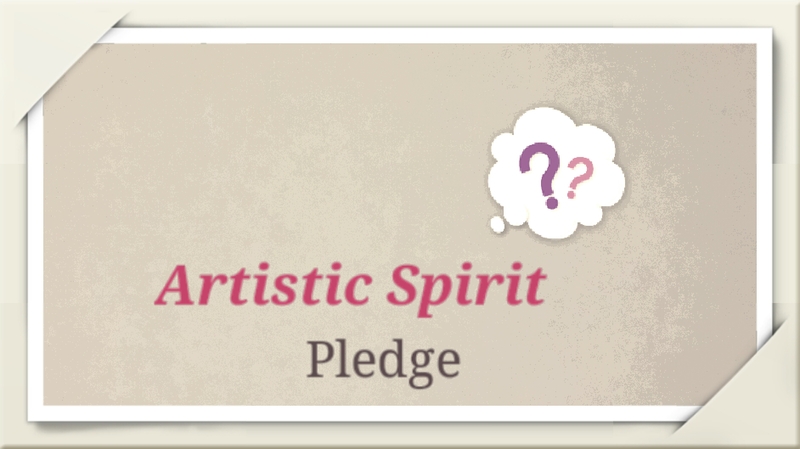 Was the Artistic Spirit Pledge topic of interest to you? Were there certain topics or blog entries over the course of the past 111 days that caught your attention more than others? What did you enjoy most/least about the Pledge? Did you hit “Like” then scroll through to something else, or did you read the entire blog post? What are your thoughts about the design/color scheme/arrangement of the blog site? Do you prefer fiction, personal narrative, or a journalistic style? Any feedback is helpful feedback so that I know whether the blog posts I write are not only reaching readers, but inspiring them as well.